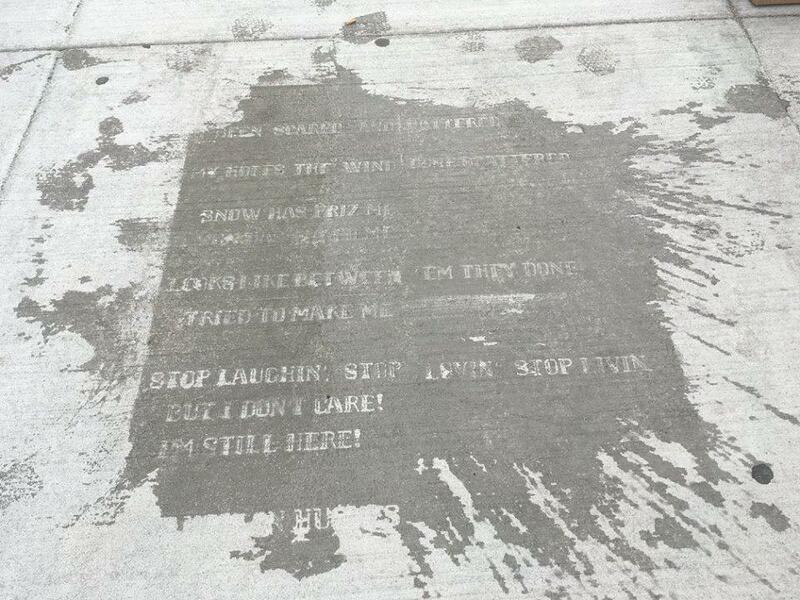 Water-repellent spray wears off in six to eight weeks, as seen in this image of a previous installation, allowing poems to become visible when it rains. “Invisible” poetry is coming back to Boston’s sidewalks. The city announced this week that it is expanding a public art installation that causes verse to become visible in the rain. The poems are written either in English or in Haitian Creole, and they have been installed in Mattapan, West Roxbury, Fields Corner, and Upham’s Corner. “I am excited we are able to add more of these creative installations in new languages to our streets in Boston, adding to our collection of public art and catching the attention of passerby’s in new and exciting ways,” Mayor Martin J. Walsh said in a press release announcing the expansion. The first round of poems appeared in the city in the spring, and focused on poets with Massachusetts ties. They were installed in Uphams Corner, Hyde Park, Roslindale Square, and Dudley Square. In May, the program director for Mass Poetry told the Globe that she hopes the installations will expand statewide.